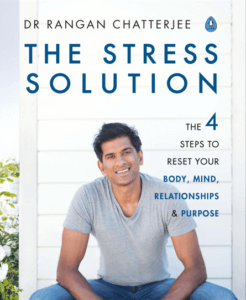 Dr Chatterjee talks to Professor Satchidananda Panda of the Salk Institute in California, a leading expert in the field of circadian rhythm and whose research is transforming our lives everyday worldwide. 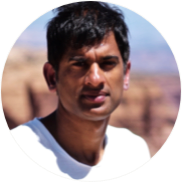 Satchin & Rangan discuss clinical studies and why Satchin’s My Circadian Clock app is giving him unique feedback, not normally gained in clinical studies. What are Satchin’s top tips to align your eating-window with your circadian rhythm? Why does Satchin see Time Restricted Feeding being used as a public health initiative and what could the knock-on benefits be for family and community life? Hear Satchin and Rangan discuss the similarities of Time Restricted Feeding to concepts from traditional Chinese and Indian medicine. How does Satchin define his time restricted eating window? 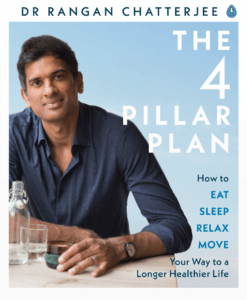 Rangan’s book The 4 Pillar plan has some top tips on the best time to drink caffeine to help you align to your circadian rhythm and improve sleep. Hear about Satchin’s book The Circadian Code and how it could help you. How is Satchin researching the Circadian Rhythm for shift workers?